It is hard to believe that it was a month ago when I was travelling through Kerala amongst tea plantations, wild elephant crossings and Ayurvedic medicinal gardens attracting naturalists, spirited travellers, and hippies alike. 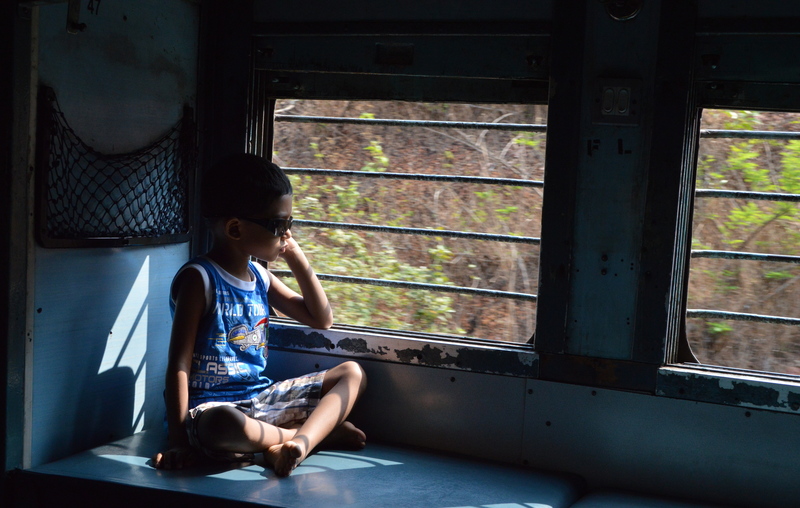 If a young kid could keep as cool as this on a 30hour train ride, I knew I had to as well. Munnar is famous for its seemlingly endless tea plantations that climb the hills of the Ghats and cover the landscape in an intense green. 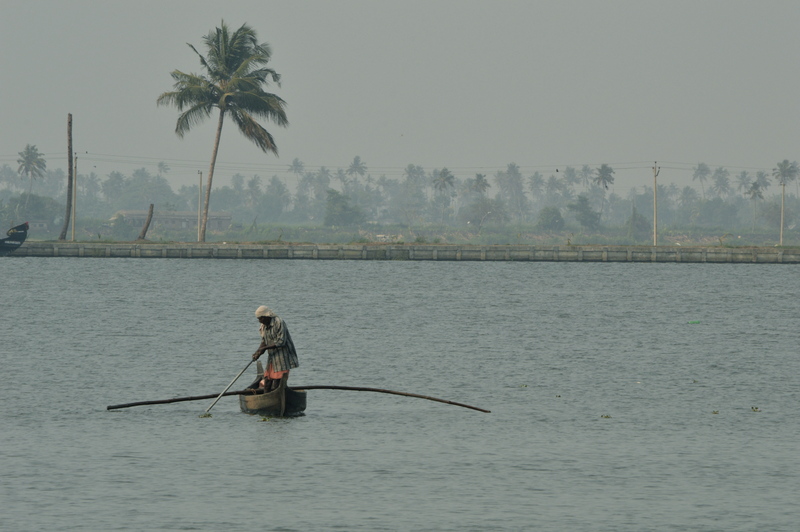 The backwaters of Kerala where houseboats, crocodiles and local fisherman compete for a place. 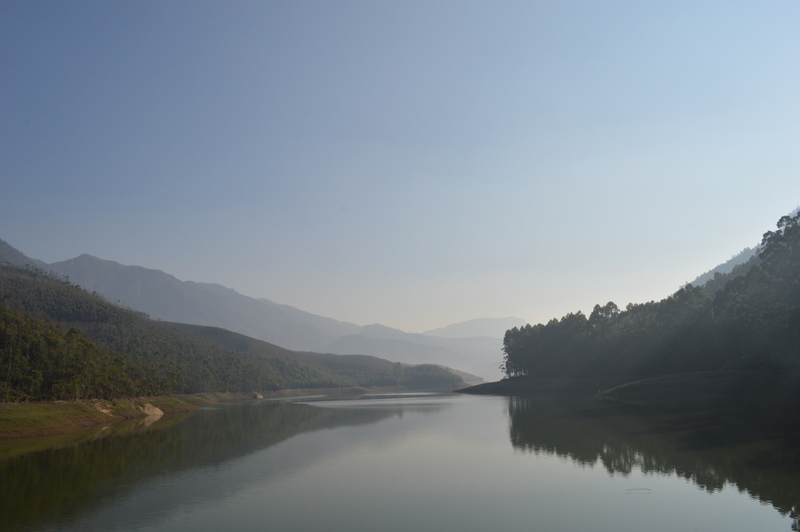 Periyar National park and tiger reserve where sadly no tigers were spotted. 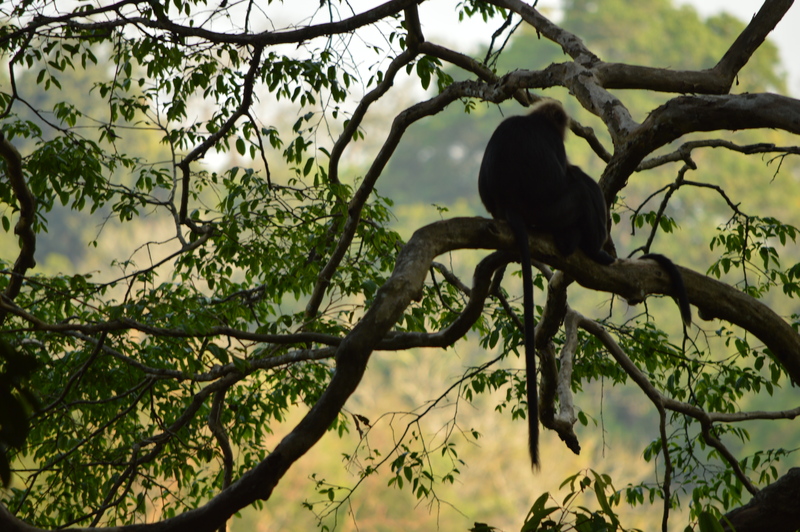 Though, a family of langurs was a pretty good consolation! The memories of my travel week adventure seem far behind – replaced by tight deadlines, looming exams and project goals to meet. While many of the projects on campus have been suppressed by heavy academic workloads, instead, the Kriya project is escalating in intensity and enthusiasm. 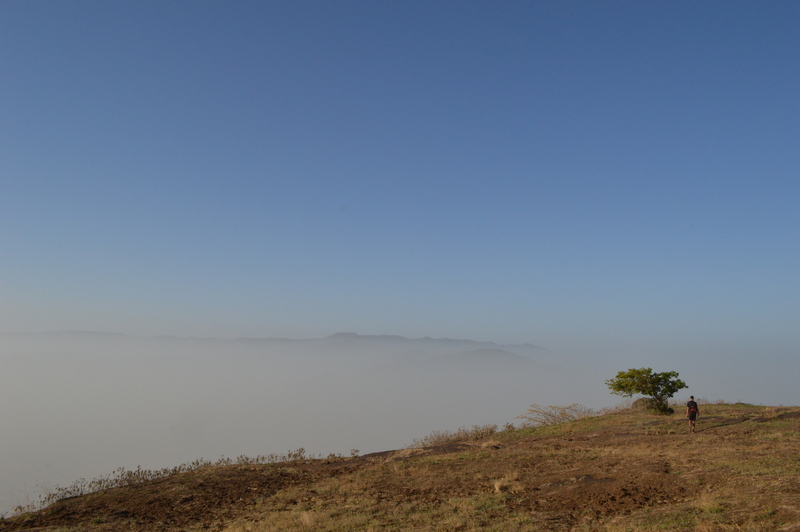 Kriya is a project focused on women’s empowerment through outdoor education. For the past several months, I have been a member of the team training a group of 12 girls from a local high school in cycling, fitness and swimming – activities that are largely inaccessible . Most of the girls in the program arrive never having been in a body of water before so the initial session is focused on getting comfortable in a pool. With the initial atmosphere of nervousness and uncertainty, I had doubts that we would be able to teach the girls how to swim in such a limited amount of time. However, after a few weeks of kicking with flutter boards across the pool and countless sessions of treading water, there seemed to be a turning point. Flutter boards were tossed aside, messy frog kicking became breakstroke kick and a number of girls were able to pass the swim test. Teaching was a challenge at first with the language barrier (explaining blowing bubbles underwater an interesting job) and the cultural differences between us. Its clear though, that these barriers make us more of a dynamic and unique team as we have learned to know the strengths and weaknesses of one another. Four of the girls in Kriya are off on a MUWCI led expedition to Ladakh in ( a mountainous area in Northern India) where their newly developed skills and physical strength will be put to the test in intense conditions. One of the girls I have gotten to know well is currently juggling a full time babysitting job, a position designing and producing clothes with Akshara, responsibilities at home and college in Pune. She has never been further away from home than Mumbai and a Ladakh expedition is her first opportunity to see the world. I can’t think of anyone more deserving of the expedition than the girls whom have dedicated themselves to Kriya this year. The campus is full of a restless energy ignited by large quantities of caffeine, the sweltering long afternoons and the knowledge that the end of the term, and for the second years, the end of their time at MUWCI, is within an arm’s reach away. The time has dissolved before me and I am struggling to grapple that I will be back to a Canadian summer in only a few weeks. In the meantime, I think its time to start studying….